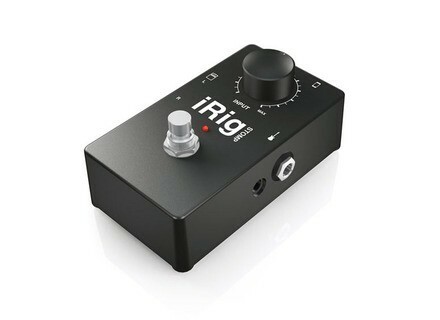 iRig Stomp, Audio or MIDI interface for tablet/iDevice from IK Multimedia in the iRig series. IK Multimedia introduces iRig Stomp, a stompbox guitar interface for iPhone, iPod touch and iPad. iRig Stomp is based on AmpliTube iRig interface and is compatible with iOS guitar/amp/instrument apps. 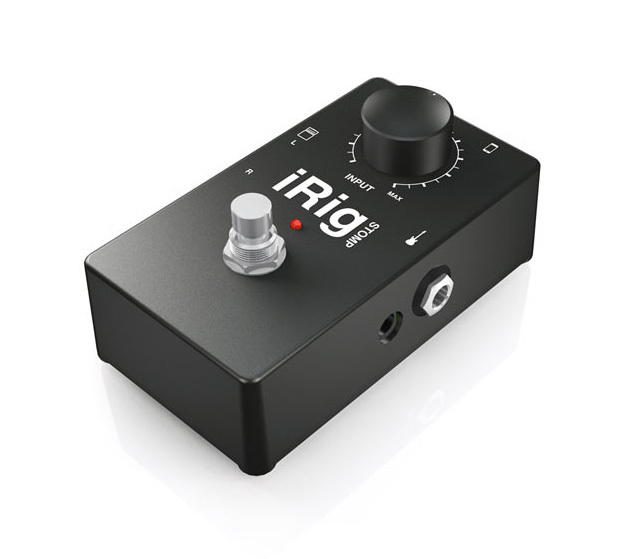 With its standard stompbox shape, iRig STOMP has various features found in an iOS audio accessory. Aluminum-cast enclosure designed to integrate into a traditional pedalboard. Allows adjustment of the signal for guitar and bass levels with its input gain knob. Active battery-powered output circuit designed to improve headroom, especially when used with amplifiers in the AmpliTube app reducing feedback and crosstalk when recording. The bypass switch allows engaging or bypassing the AmpliTube app chain of effects – like a traditional stompbox – for integration into an existing rig. Form-factor can be carried on the road. iRig Stomp is available for $59.99 and will be available in the spring 2012. Roland Quad Capture Review Do you want a small sound card with a high quality sound, clever features, a good construction, and an affordable price? If you do, follow me to give Roland's Quad Capture a try. If you need even more, follow me too because Roland has something in store for you. [NAMM] Blue Microphones Mikey Digital Blue Microphones announces Mikey Digital, an external microphone for recording stereo audio on the iPod touch, iPhone and iPad models. MediaGROE Noisepad The Noisepad is a drum computer with samples, beats and vocals.